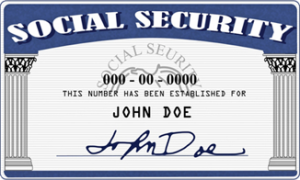 Where can I get a form to file for my social security benefit. Receiving Social Security Disability, how do I get State/Federal Taxes taken out of it. Each social security application form is clearly worded to show its scope as an application for one or more types of benefits. For example, applications for entitlement to monthly benefits, may apply to all benefits that you may be entitled to on any Social Security earnings record. You can expand or restrict the scope of your application as long as you add appropriate remarks, in writing, on the application before we make a decision on your claim. This rule has some exceptions. If you are eligible for both reduced retirement insurance benefits and reduced spouse’s insurance benefits beginning with the same month, you cannot restrict an application to just one of these types of benefits. By filing for either benefit, you are deemed by law to have filed for both types of benefits. The Social Security office determines the proper application form to use when you file your claim.